With a legacy built on high-performance sports cars, Porsche has expanded into the sedans and crossover SUVs as well. At Porsche of Huntsville, you can shop all your favorite luxury cars and experience refined German engineering up-close! Shoppers across Coleman, Florence, and Huntsville come to us for quality new, pre-owned, and certified pre-owned cars. Buckle up and enjoy the ride as we give you a closer look at our cars, services, products, and more. Many Porsche vehicles are absolute icons on the road today. Step into our showroom, and you’ll find the latest Porsche models. There’s something for every driver, whether it’s a crossover like the Porsche Cayenne or a sleek sports car like the Porsche 911. You’ll find a selection of pre-owned cars at our dealership. You may find some luxury cars at even greater value to you! Don’t miss our selection of Porsche certified pre-owned cars. These cars undergo a rigorous quality inspection and are like-new in many respects. Our Porsche experts are happy to help you learn about any model on our lot. If you have questions, don’t hesitate to reach out. Leasing your next new Porsche for pleasure or business? Need financing before you can get in the driver’s seat? In either situation, just stop by our Porsche finance center and let our professional team help you out. They have years of experience in auto finance and can help you find a plan that suits your lifestyle. When you drive a Porsche luxury car, you’ll want only the best in automotive service. The technicians at our service center are fully certified and specially trained in Porsche repair. They know how to treat your luxury vehicle and will return it to you in pristine condition! Shopping for genuine Porsche parts and accessories? Our parts center can supply them: Just place your order online. 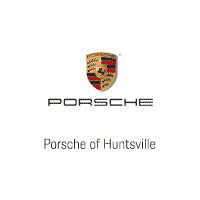 Visit Porsche of Huntsville Today! Are you ready to make a splash with your next new Porsche? Feel free to shop our full inventory of Porsche cars online or in our showroom. You can check out our collection of pre-owned cars, too. Want to learn more about our services, cars, and other products? Reach out to us at Porsche of Huntsville. We’re always happy to assist our valued customers across Florence, Coleman, and Huntsville! Randy does a pretty great job in service. I bought a 2017 Macan S, had a few issues, but they were resolved quickly and got me back on the road. We have another dealership closer but we make the drive to this location because of the excellent service department. If you want to feel like your business is appreciated go here.